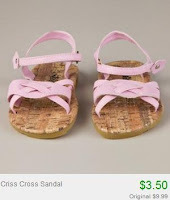 Girl's + Ladies Sandals from $3.50 + 10% Off or Free Shipping! Here's yet another Totsy blowout sale I wanted to mention. 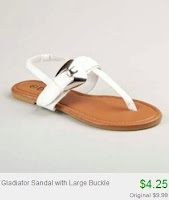 This one features ladies' and girls' sandals starting at just $3.50! Again, use the code COUPONCABIN to save 10% off your order. If you know someone who is expecting, this would make a great shower gift! There are several colors and patterns to choose from.